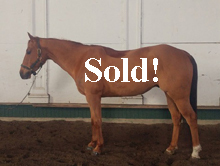 New Horses Coming in From Canada Frequently! 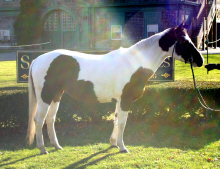 Equador aka "Sox". 15.3 and 7/8 hands. 14 years old. 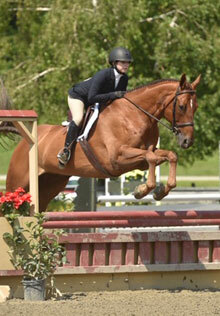 Belgian warmblood has extensive show mileage. 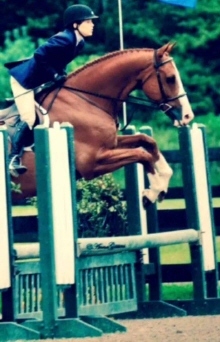 Great childrens/adult hunter, beautiful jump, huge stride. 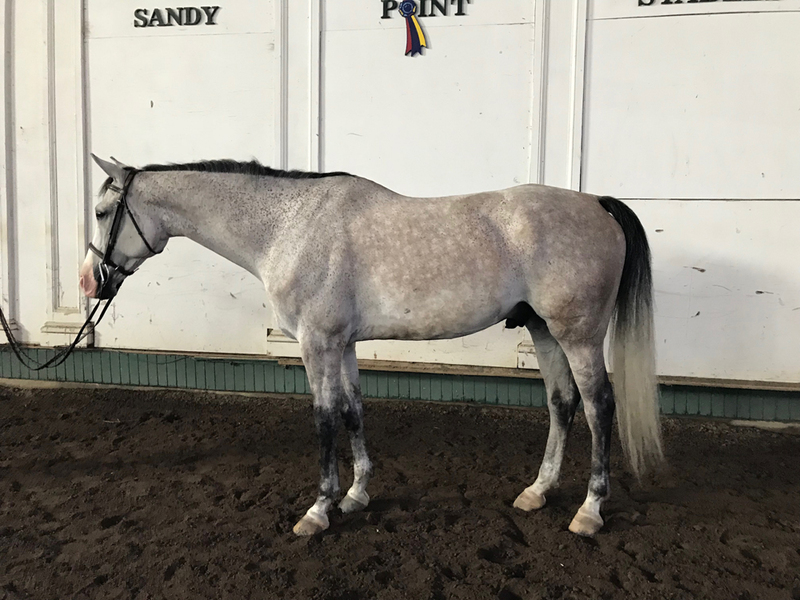 15 hand WB Mare, 15 years, good jumper, good lead change, lots of mileage. 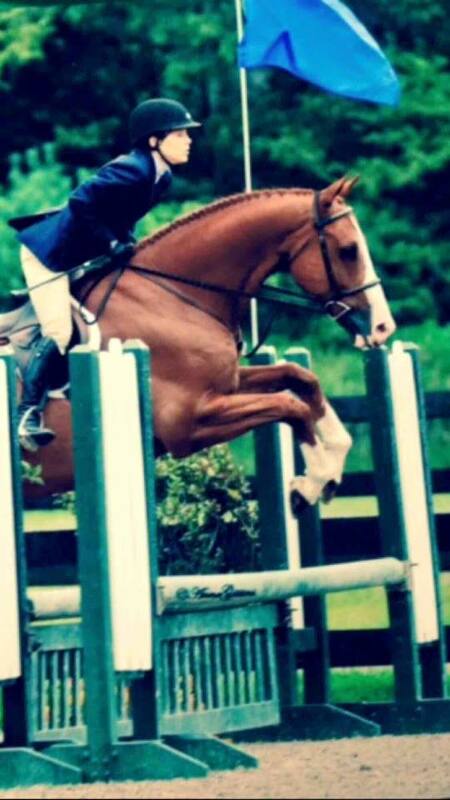 Will take child from short stirrup thru mini medals; no warmups necessary! 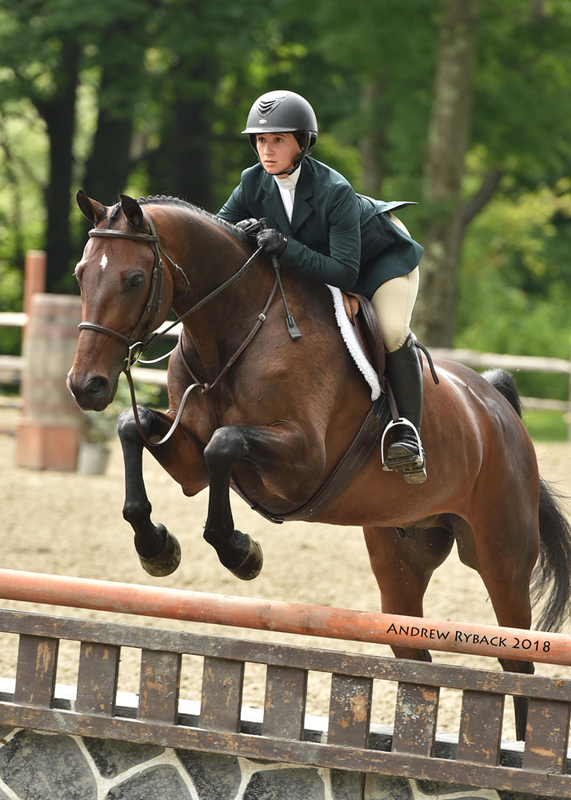 Won the 2018 NH Children's Medal Final and was Reserve in the Hunter Classic! 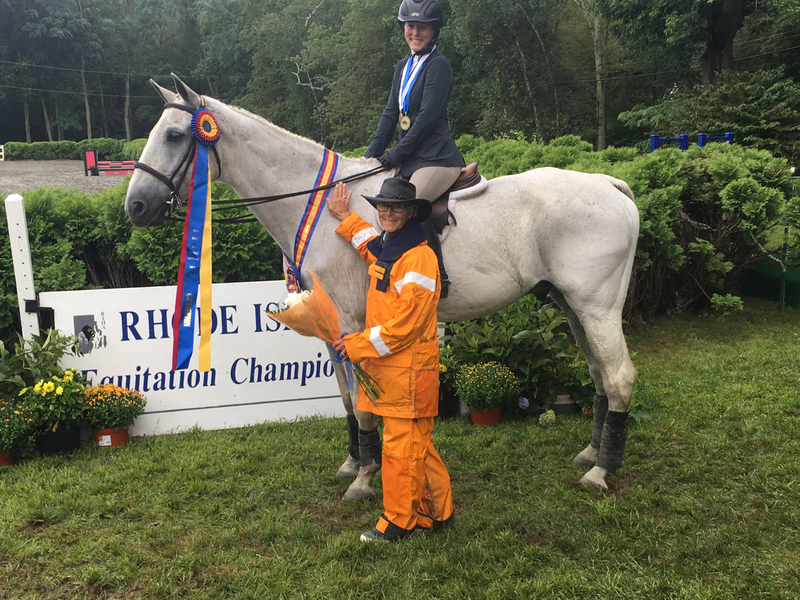 Placed 3rd in 2016 MHJ Children's Medal Final, and 4th in the Modified Adult Final at the 2017 RI Equitation Championships! Very quiet 15 year old 16.3 hand Hanovarian/TB gelding. Very simple, good jumper, auto change. 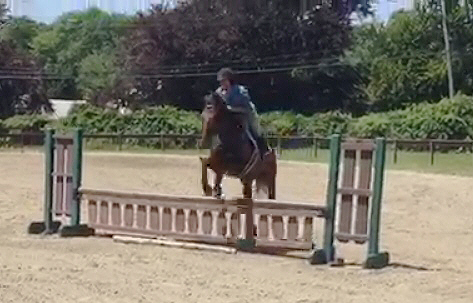 Quiet for timid rider, short stirrup through 2'6". Reasonable! 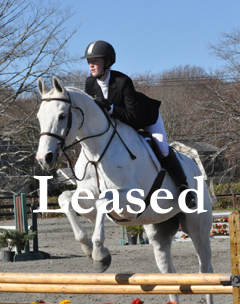 Large children's pony. Packing fool! Just in from Canada!! 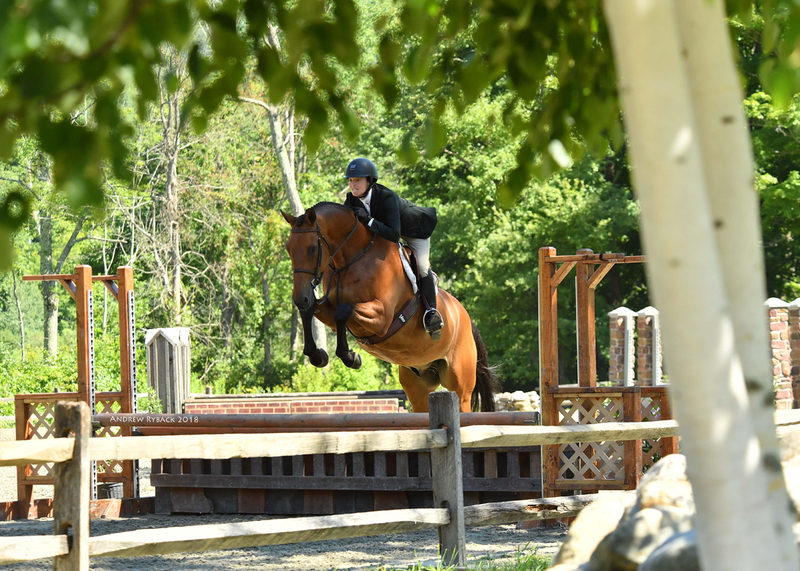 9 year old large pony mare. Very quiet, good jumper, no peek. Quality dark bay 16.1 hand Holsteiner. 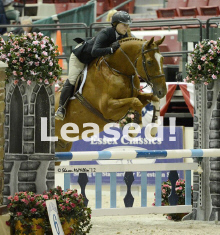 7 years old, top of the line mover and jumper. Has shown two years pre-green, eligible 3'6" greens. Would make very fancy adult hunter. Imported from Canada. 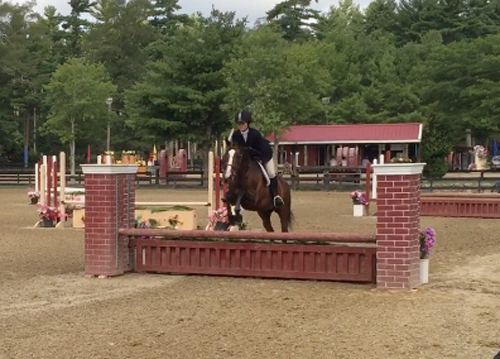 7 year-old 16.1 hand Warmblood. 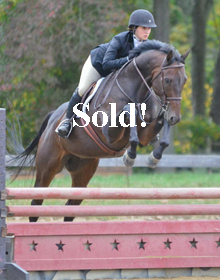 Big step, good jump. 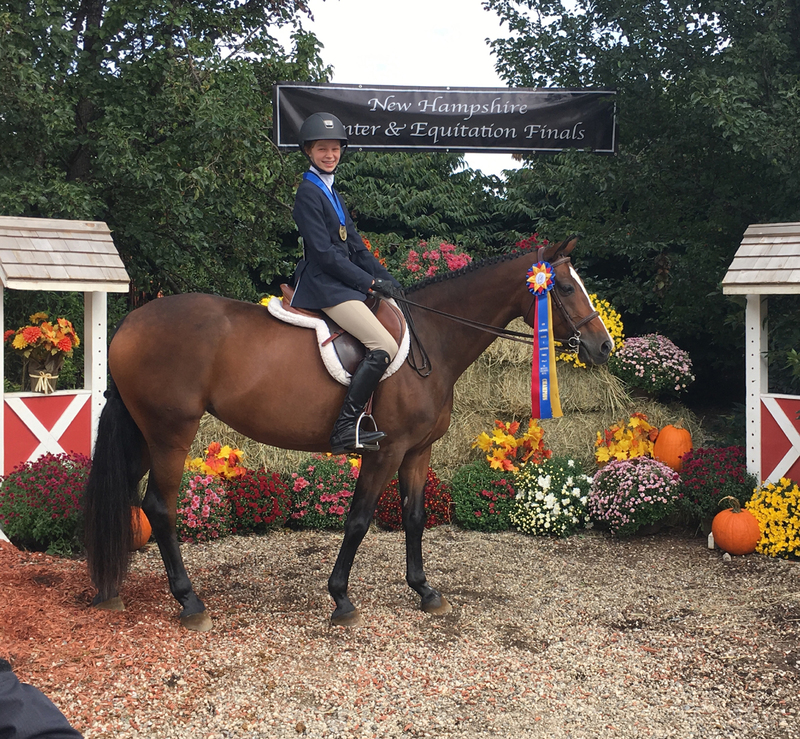 2018 Zone 1 Adult Hunter Challenge Champion and 2018 Adult Equitation Challenge Champion. Amazing three foot packer! 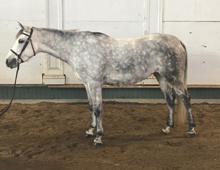 10 year old 16.3 WB. Great jump, huge stride has been showing children hunter. Would be great taking kid or adult from 2'6" to three foot. 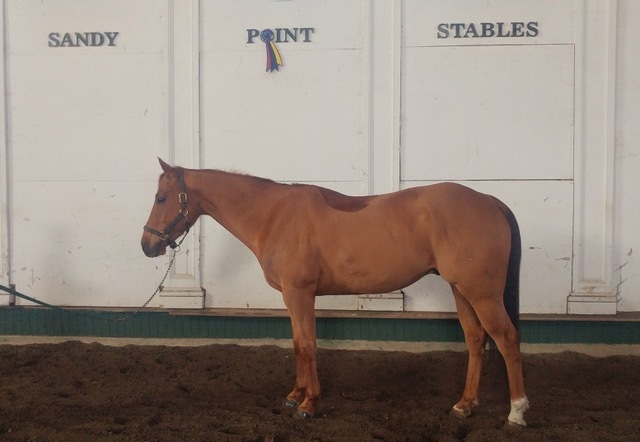 Good 'N Plenty is a 13 year-old, 14.1 hand pinto pony mare. 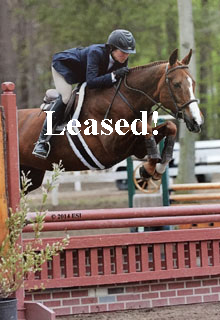 Totally bombproof; good jumper; will pack over anything. 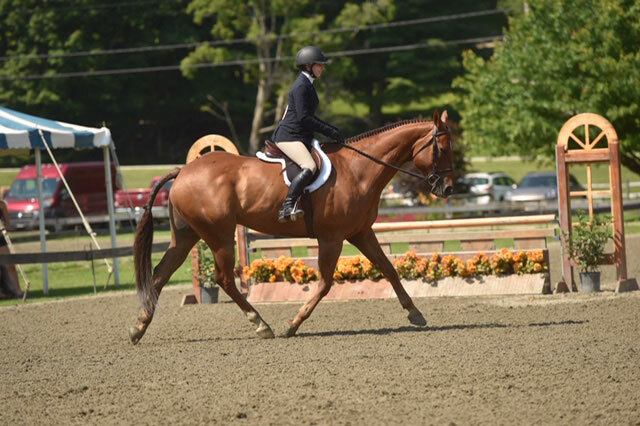 Walk/trot through Pre-Children's Ponies, excelling in Short Stirrup! 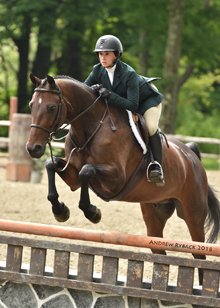 Recent successes: 2013 Short Stirrup Classic winner at Sara Oden Memorial Horse Show, won consistently in short stirrup throughout New England. 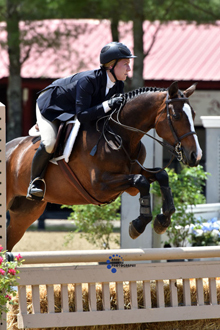 Goodie is very quiet, very dependable and really likes to take care of young riders!! 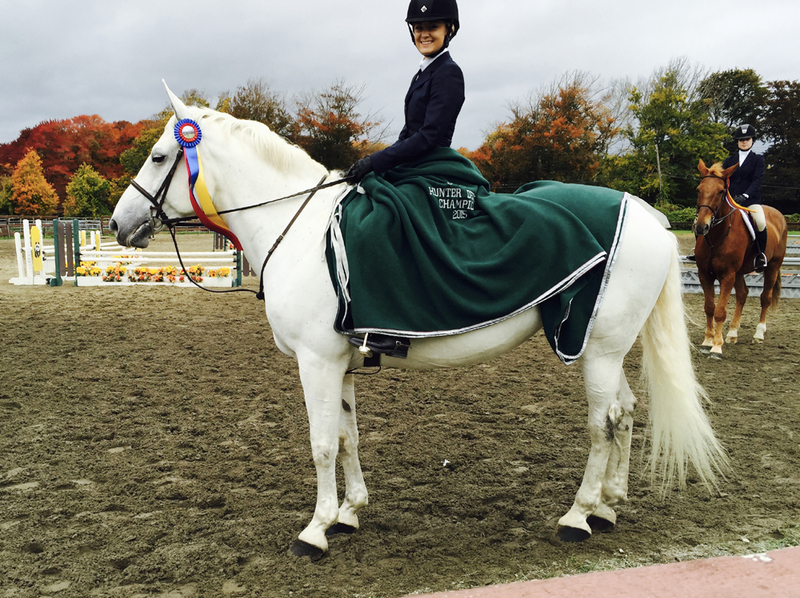 15 year-old Irish sport horse. 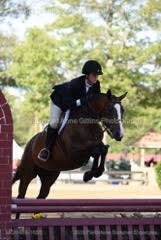 Great 2'6" hunter and mini medal horse. Will pack anyone in the show ring! Lovely Swedish WB; 17 years old. Has shown everywhere in both eqs and hunters. 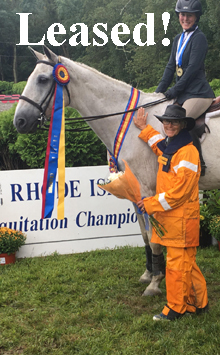 Won CT Adult Medal Final, MHJ Adult Medal Final and Reserve Champion twice at NEHC Medal Finals. 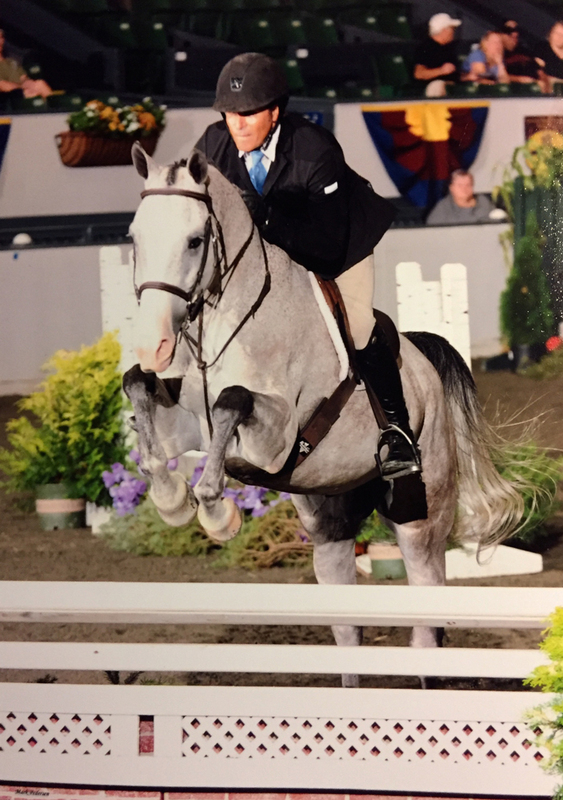 Reserve Champion Adult Hunter in the zone. Wins the hack. Too much to list. 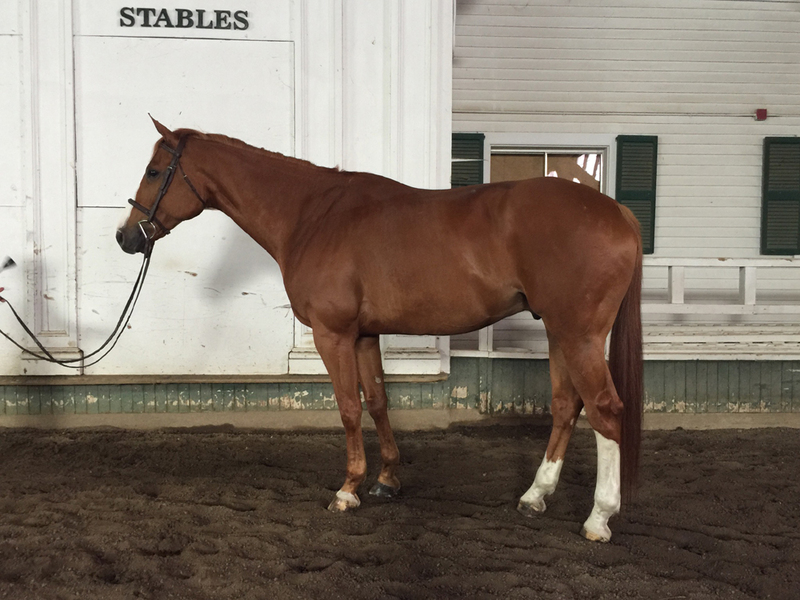 10 year old 16h TB gelding. 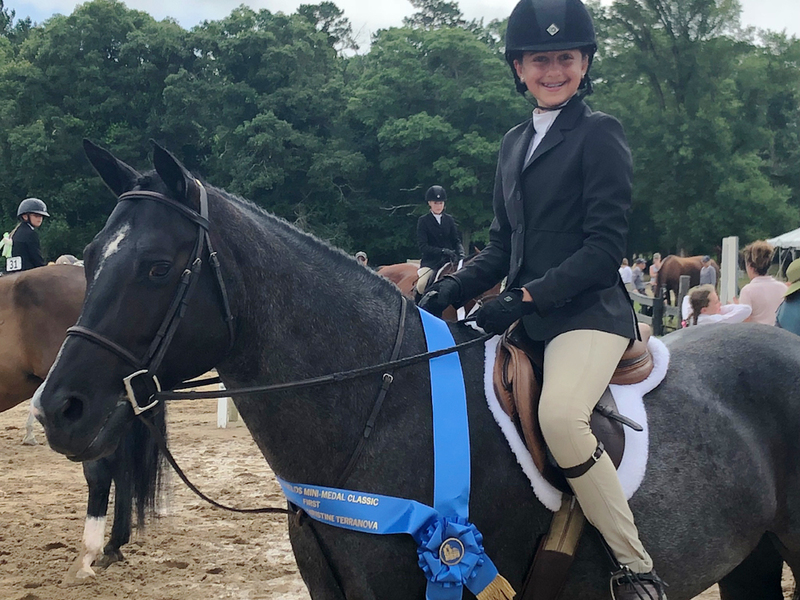 Showing successfully in 3' divisions and derbies. 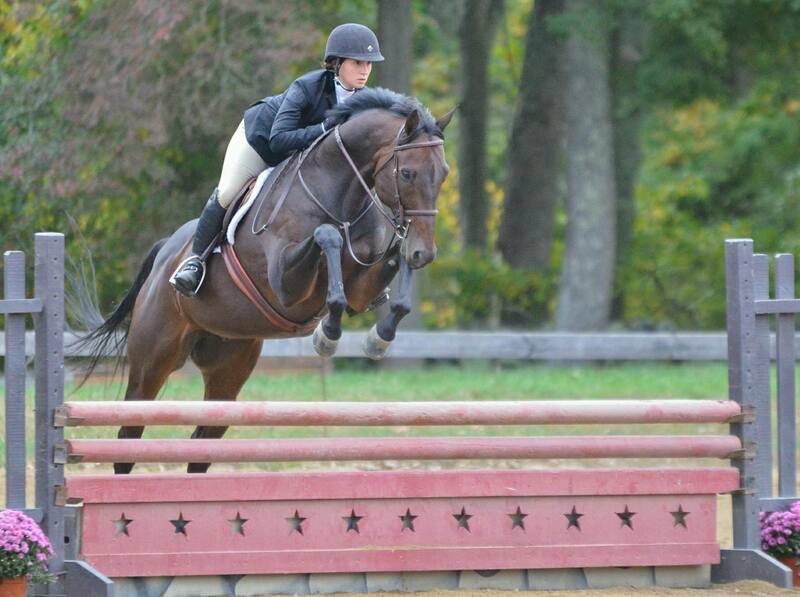 Quiet, good change, moves well and jumps great. Eligible green. 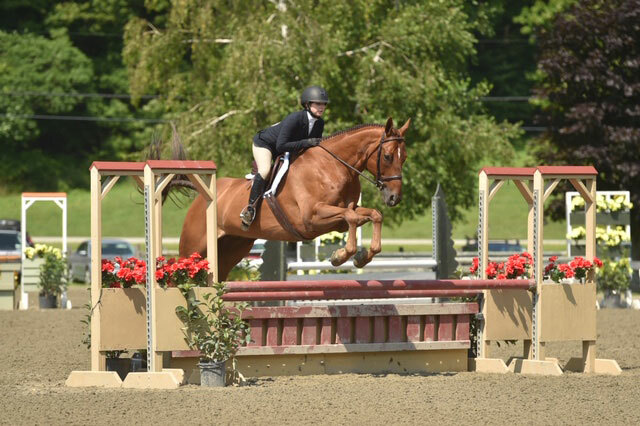 Would take child or adult from 2'6" to 3' division. 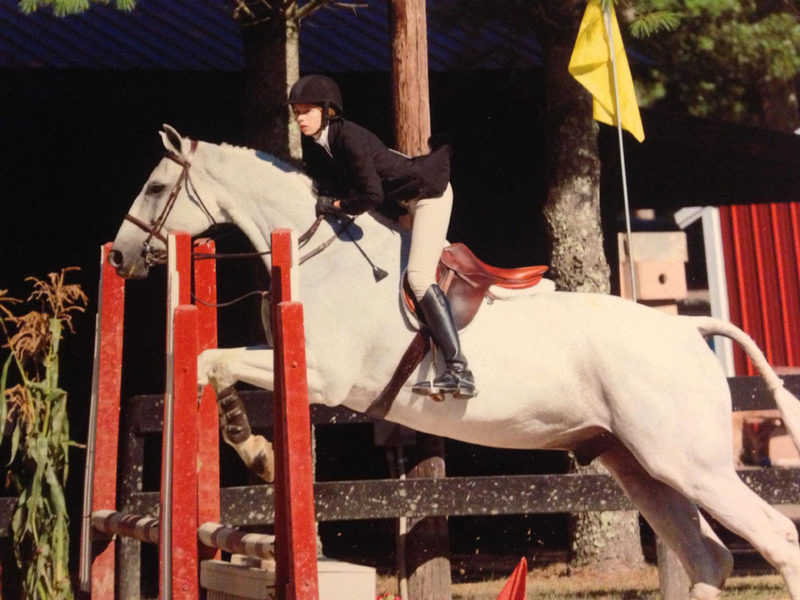 12 year-old, 14.1 hand gelding. 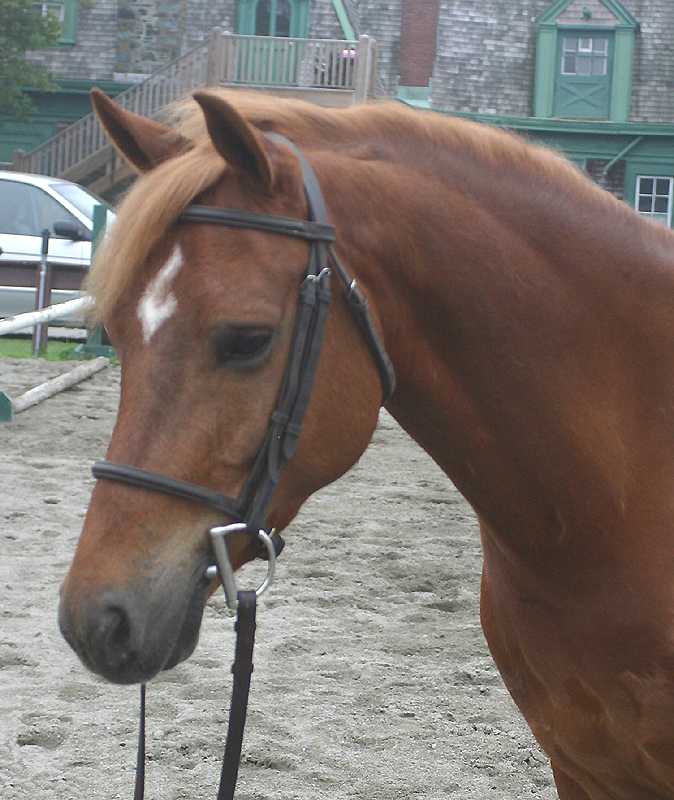 Has shown in the large pony hunters in Canada. Auto change, great jumper, brave, goes in a rubber snaffle. Your basic seeing eye dog! 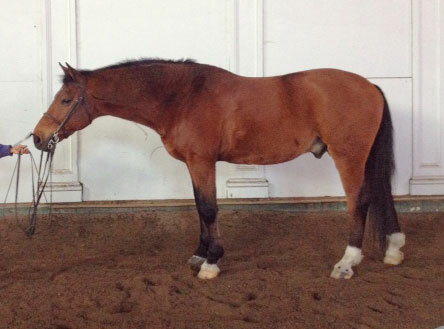 8 year old 15.3 hand Quarter horse. 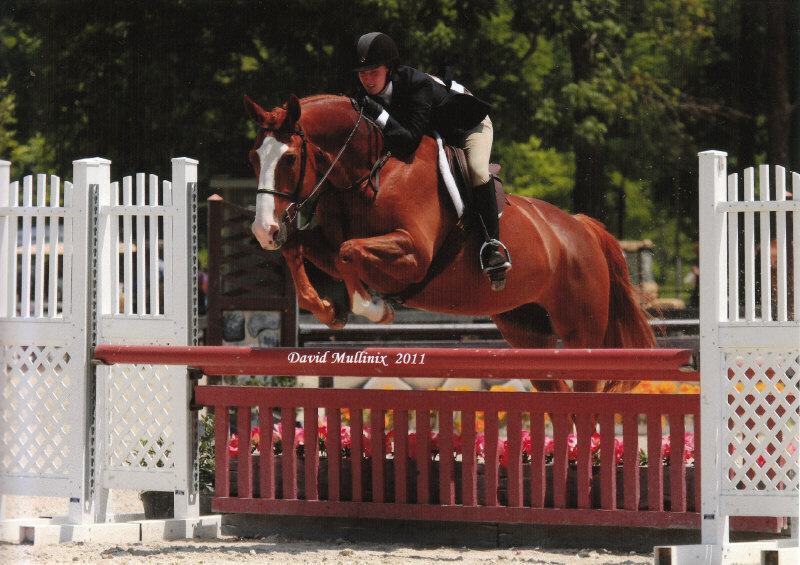 Perfect first horse to take you from short stirrup to 2'6" eq or hunters. 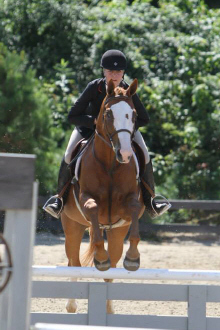 Auto changes, smooth jump, balanced canter, safe for anyone. 16.2-hand, 13 year-old WB. 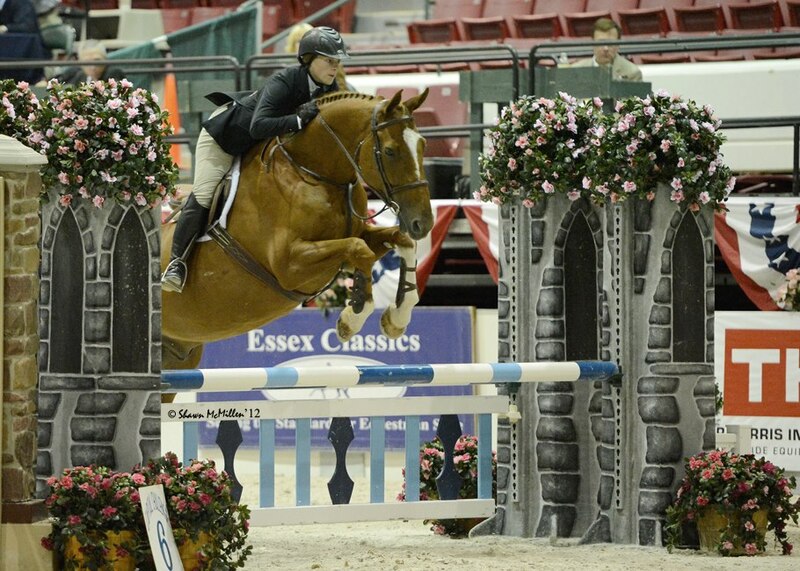 Very nice 3' hunter. Can win in any company. Quiet, more of a push ride. 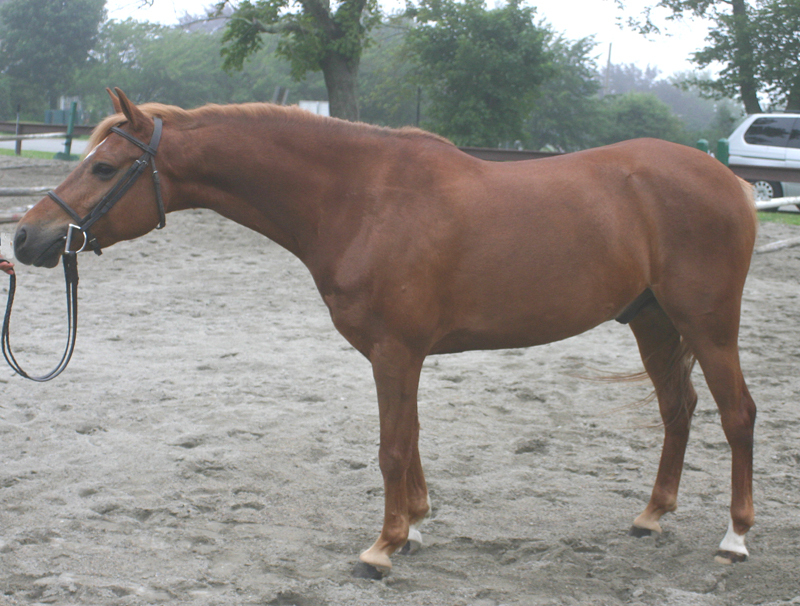 16.3 hand, aged Warmblood gelding. Excellent 2'6" packer. 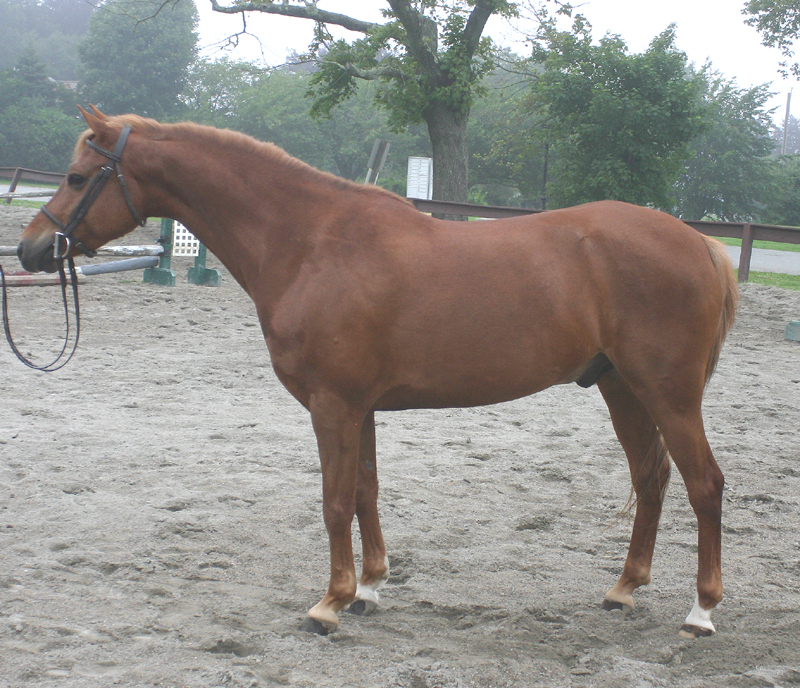 Easy, no warmup, quiet, auto changes, big step, nice mover and jumper. 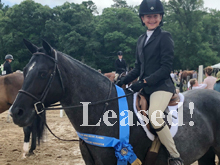 Great for the rider that needs confidence as well as the rider with experience. 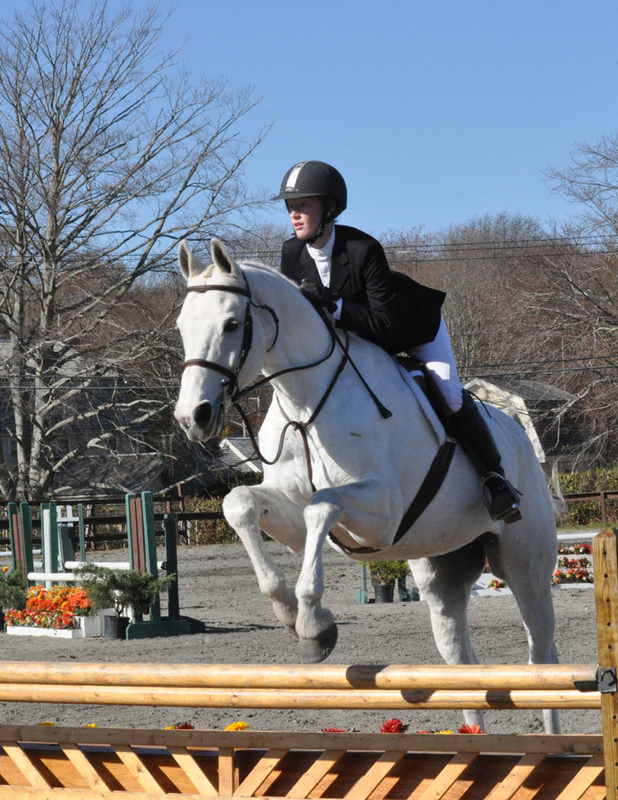 Shown successfully in both the equitation and the hunters. Has shown everywhere. Trainer's dream. 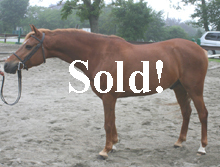 16.3-hand aged Warmblood gelding. 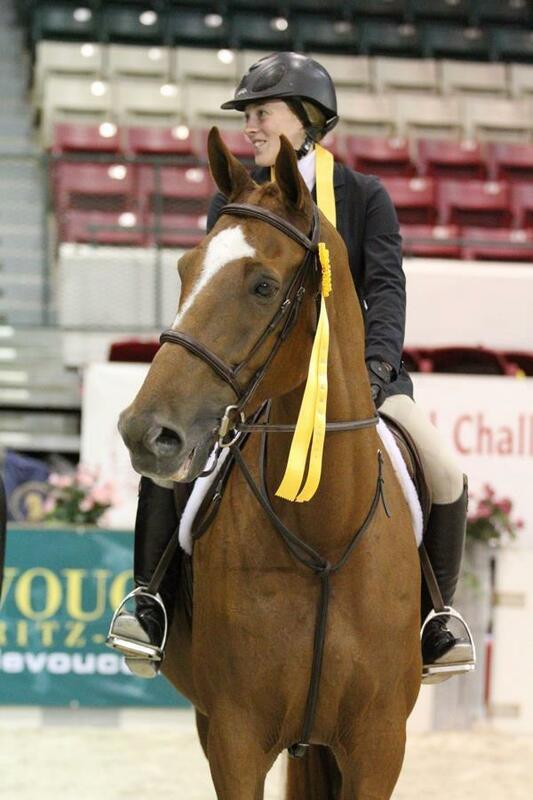 Has ribboned at all 2'6" finals. 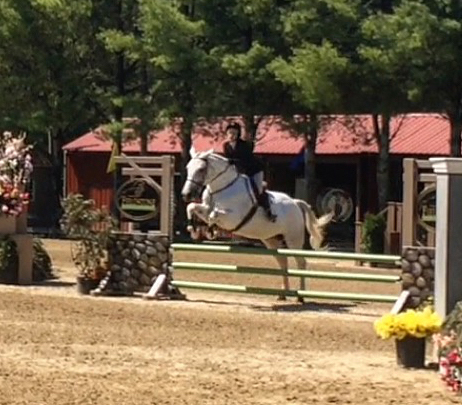 As good as it gets for 2'6" finals horse and derbies. Prefers little person! 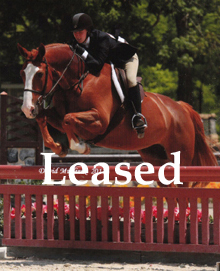 16.3 hand Warmblood gelding. 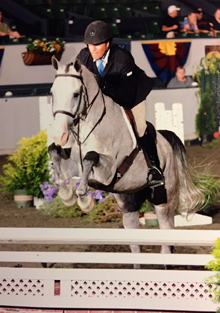 3rd in 2012 Ariat National Adult Medal finals and third in 2012 Adult New England Equitation Championship finals. 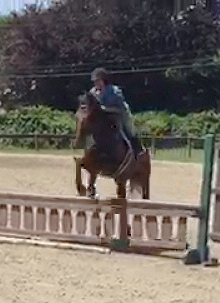 Now ready to win for you at 2'6"! 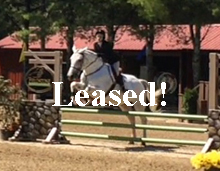 16'1" warmblood gelding. 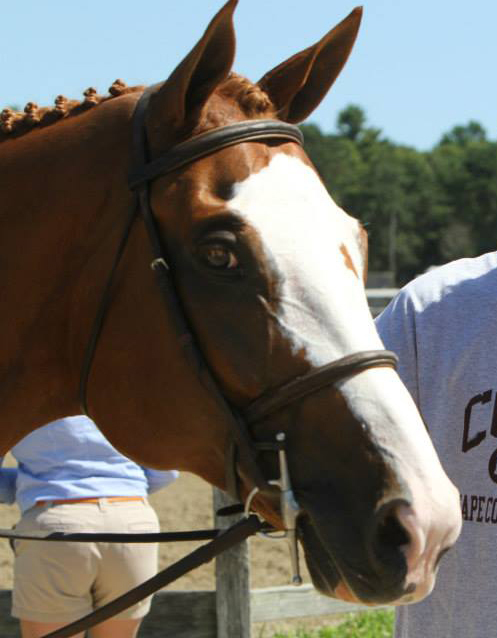 Very attractive; can do eq or hunters. Fabulous horse to teach a first time rider. Has been to all the finals! 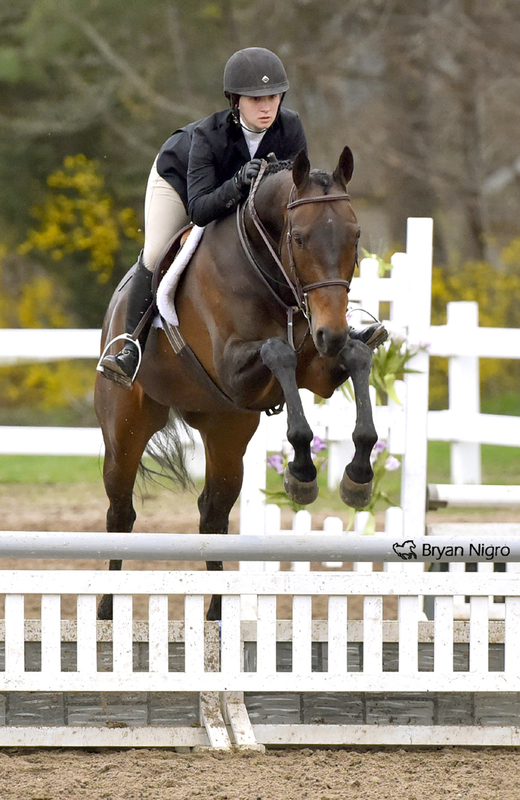 He was a big winner in the three foot hunters, did all the eqs! 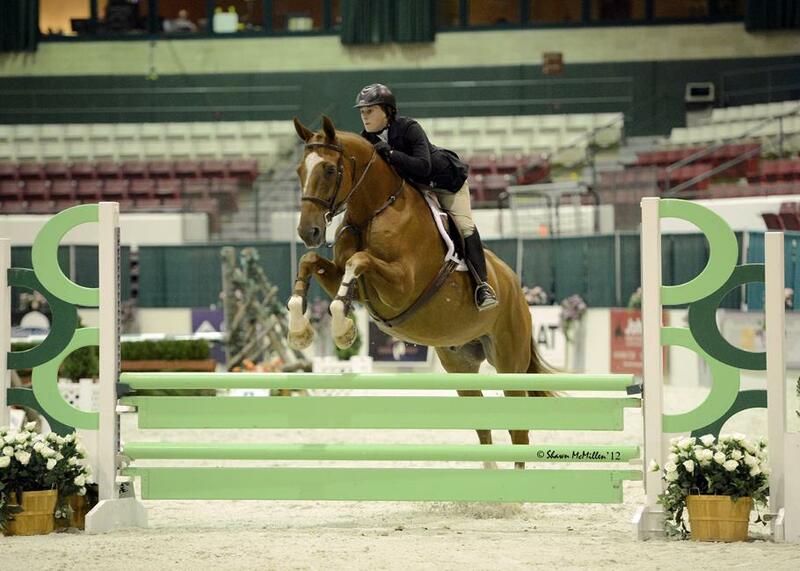 Won eq and hunter challenge at 2011 Zone Finals, but now he would be happiest at 2'6". Will pack and win. 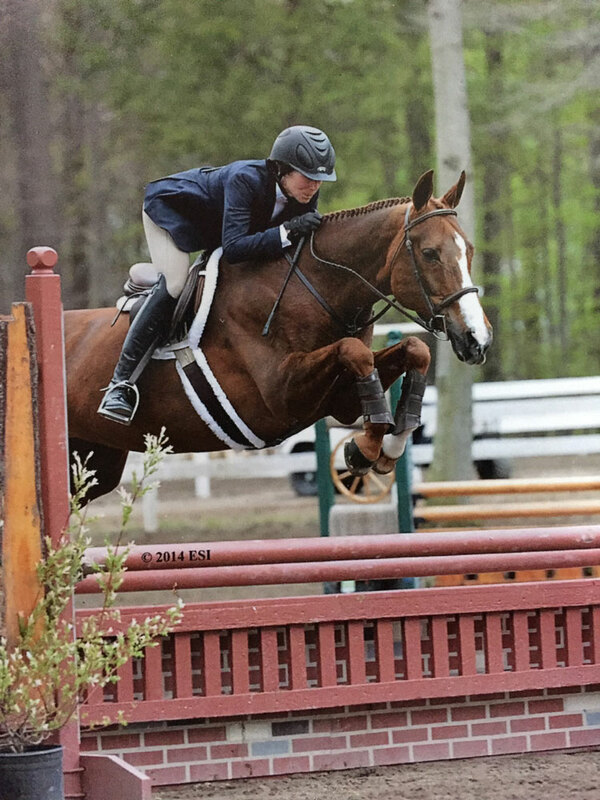 10 year-old 16.2 hand chestnut warmblood gelding. 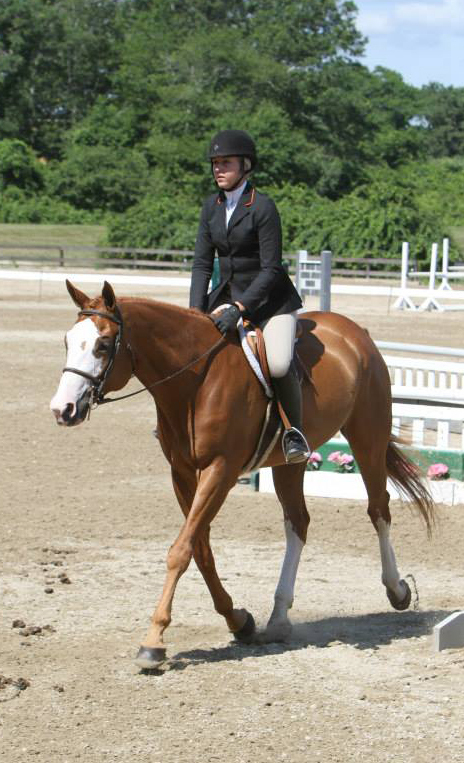 Fancy hunter, packing equitation horse. 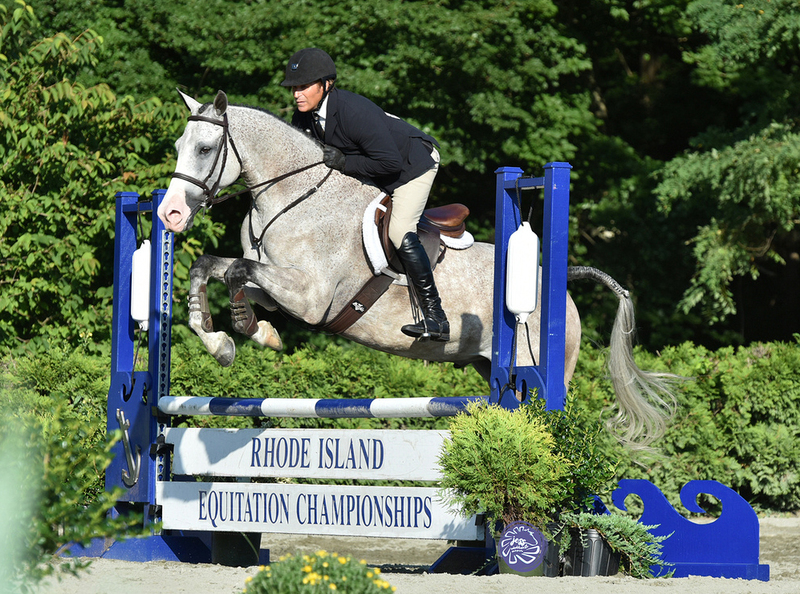 Has taken novice junior around NE finals course. Can be seen at NE finals. 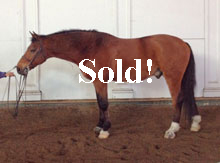 Bay warmblood gelding. 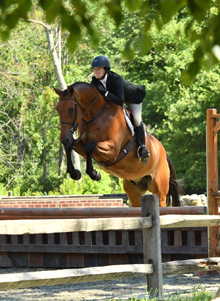 Will pack, lots of stride, 3-foot/3'3" hunters. Pretty much a sure shot for you trainers! Thomas is a very attractive 12 year-old Welsh medium pony. 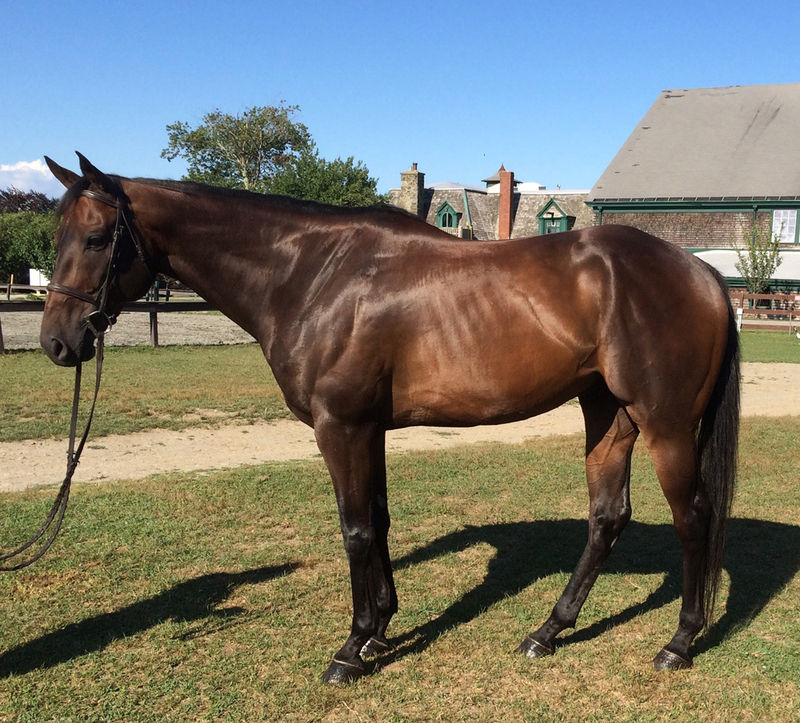 Good mover, fancy jumper, good change, no peek at the jumps, plenty of stride. Very quiet! 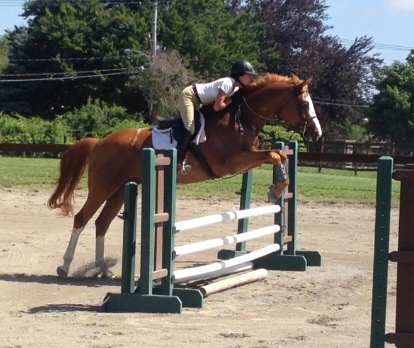 Currently taking 7 year-old around Elementary fences, changes and all! 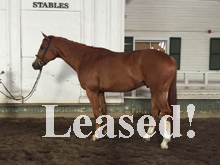 Priced at $9,000 for sale; $3,000 for year lease. Can be seen showing at Sandy Point Shows.